The girl who recorded “Wait for Me” in 2000 is done waiting. News yesterday that Christian singer Rebecca St. James is engaged to marry Jacob Fink who has a background in missions, television production and music. Proposal: Christmas Day. Wedding date: TBA. The number of abusive priest lawsuits in a Milwaukee diocese has forced it to declare bankruptcy. But a victims’ lawyer says it’s only being done to protect identities, and will merely delay the process. Tucked away in a little corner of James MacDonald’s (Walk in the Word) website is this tidbit of news: “And this is amazing…We received a donation of a 20-million-dollar television production facility. The studio and the technology it provides will enable Walk in the Word to produce greater resources to reach more people.” Not the first time something like this (i.e. Harvest Bible Chapel’s land in Elgin, Illinois) has dropped into their laps! Does God withhold blessings from me because of my sins (even sins that have been forgiven)? That’s the question Dana asked at Upwrite. “…it is about the possibility of freedom from beating myself up over the things I might have missed out on because of my sins.” Anyone care to leave her an answer? And then, this testimony: “My backstory isn’t a pretty one. In fact, I didn’t even begin life as an sweet little planned bundle of joy. My mom was raped and I was the result. I was adopted by two wonderful parents who loved me and raised me as their own. But from the age of 3 until about the age of 12 my concept of love became skewed and shattered as I was repeatedly molested and raped by two different people in my family.I was pregnant at 17.” That’s Stephanie Shott’s story. Read the rest at her guest post at Jenni Catron’s blog. 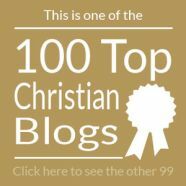 This week I checked out the website affiliated with a book that released in November: Besides The Bible – 100 Books that Have, Should, or Will Create Christian Culture. 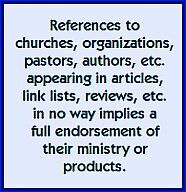 The publisher blurb promises, “Covering a wide array of subjects and authors, from Christian bookstore best sellers to classics of Christian history and more, you’ll find yourself agreeing with some titles, shaking your head at others, and even shocked by a few.” Here’s the WordPress blog for Besides the Bible. 265 Journal pages containing 214 entries later, John Piper is back from his leave of absence, and condenses his report in a much, much shorter summary at Desiring God. Bored during church or that expensive ministry conference? 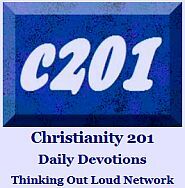 Jim Lehmer is back with an entirely updated version of Christian Buzzwords Bingo. Each refresh of the page gets you a new bingo card! Want to send a shout out to long-time friend Al Clarkson for keeping me posted on things I might have missed. (Like this and the next two entries.) Here’s Alpha Course founder Nicky Gumbel speaking at the Lausanne Conference. Canada’s popular Christian musician, Steve Bell — who we linked to last week — scored some major press here this week in the prestigious business insert to a national newspaper. You can catch both items at once at this bookstore industry blog. And at the same blog, at age 102, George Beverley Shea is to receive a Lifetime Achieve Award in conjunction with The Grammy Awards. Last week we linked to Derek Webb’s piece at Huffington Post, and this week you can read Frank Turk’s very firm response, and the 250 comments it generated. And at the blog, On The Fence (tagline: A Skeptical Screenwriter and a Christian Pastor Talk About Faith) Travis comments on reading Greg Boyd’s Myth of a Christian Nation over the holidays. Not sure if Frank Turk would approve of Boyd. Our photo below is a flashback to a 2009 post at the now defunct blog, Cool Things in Random Places. It’s a picture of The Door to Hell. Really. The link gets you many more pictures and videos. The Door to Hell, is situated near the small town of Darvaz in Turkmenistan. Thirty-five years ago, geologists were drilling for gas when then encountered a very large cavern underground filled with a poisonous gas. They ignited the gas expecting it to burn off in a few hours. The gas is still burning to this day. Its 60 meters in diameter and 20 meters depth have not been caused by volcanic activity or a meteorite impact.This crater was created sometime in the 50’s when the Soviets were prospecting for natural gas in this area and it’s been burning since then.